The Campus and Career Summer Retreat of 2015: Put up the Mast and Sail. 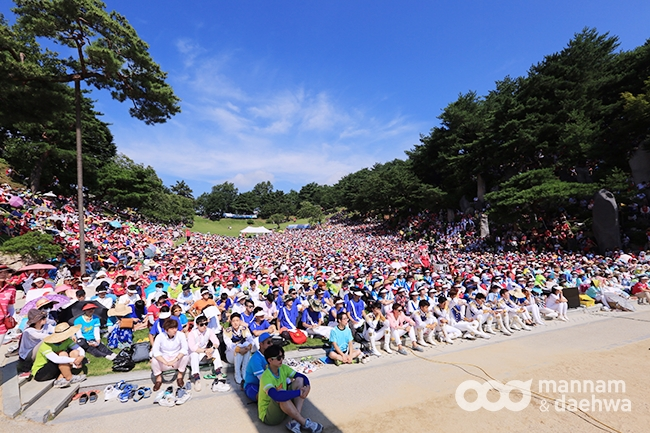 Wolmyeongdong, a place of tranquility, became a place full of noise when the members from the campus and career departments of the Christian Gospel Mission (CGM) arrived at Wolmyeongdong to attend the 2015 Summer Retreat. The summer retreat for 2015 could have been cancelled because of the Middle East Respiratory Syndrome (MERS). But MERS died down in Korea just in time for CGM to barely be able to hold the retreat in time.This retreat was more meaningful because of that. However, many foreign members were unable to attend. Pastor Jung Myeong Seok gave the theme of this retreat, which is ‘put up the mast and sail’. Everyone who attended this retreat for the campus and career departments offered thanksgiving and gave glory with the joy of rapture. Pastor Jung delivered a deep message with the hope that the campus and career members would put up the mast and sail of the Lord, and thus, be able to sail through faith with ease and raise the level of their rapture lines. At the Wolmyeong Water Park, the members held events and games, including a game in which they made a boat with a sail and set it afloat in the water to commemorate the theme, ‘put up the mast and sail’. The members also enjoyed relief from the sweltering heat by swimming in the water park. The summer retreat proverbs and artworks, both written and drawn by Pastor Jung, were stationed throughout Wolmyeongdong, so members would be able to mediate on those proverbs. Furthermore, at the valley of Mount Indae, at Darigol and at the Longevity Rock, there were people positioned there to preach those proverbs aloud. The members listened to those proverbs with interest and were deeply touched in their hearts by them. In 2015, a retreat was held for every department: the junior high and high schools on August 8, the elementary school students from grade 4 to grade 6 on August 13, the Joy Star members on August 15, the combined Family Department members on August 22, and the Galaxy members on August 28. 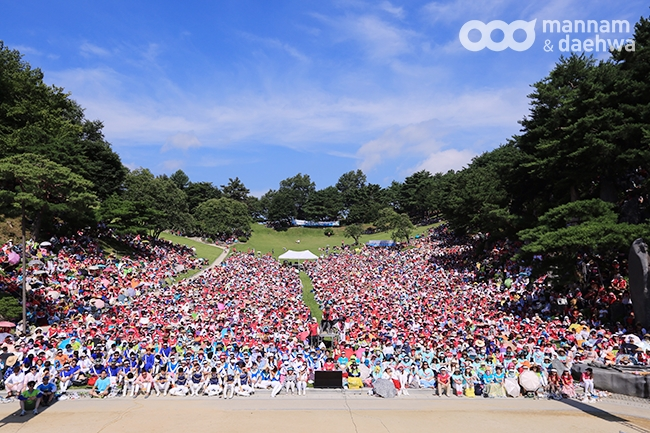 Through this summer retreat, I hope that all members of CGM will become strong in spirit, soul and body and receive the mentality of the Lord in the Wolmyeongdong Natural Temple, where God provides the refreshing water and mountains.